Well slap me with a fish and call me Cliff, MMX Hill Dash 2 is here! With over 20 million downloads, and 800 million miles of track travelled, you, our players gave MMX Hill Dash a huge thumbs up. We've been hard at work taking everything great about Hill Dash, throwing in bucketloads more sticky mud, plunge pools, flips and tricks. 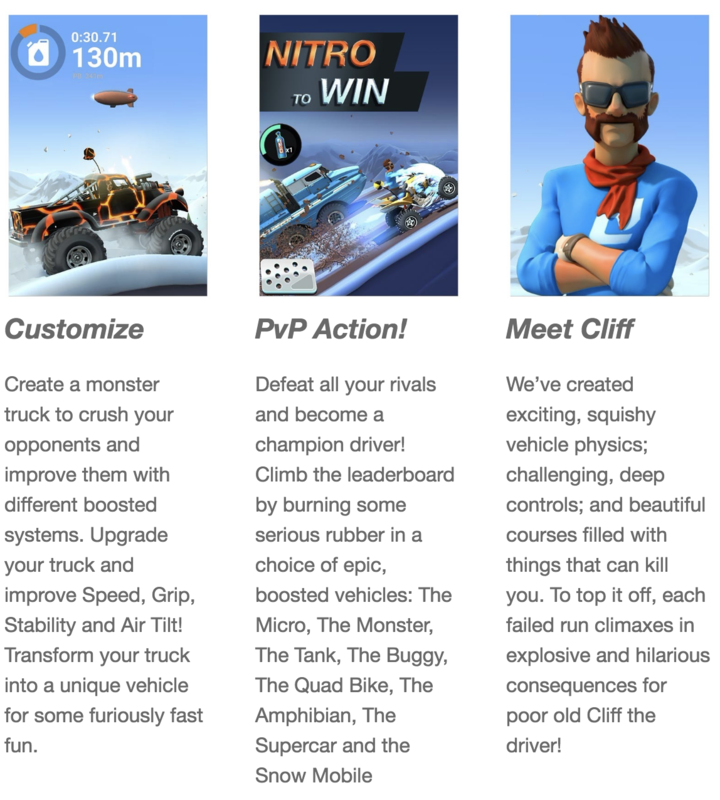 With lush new 3D graphics, a bunch of crazy new vehicles and whacky customization options, the fun just got funner! 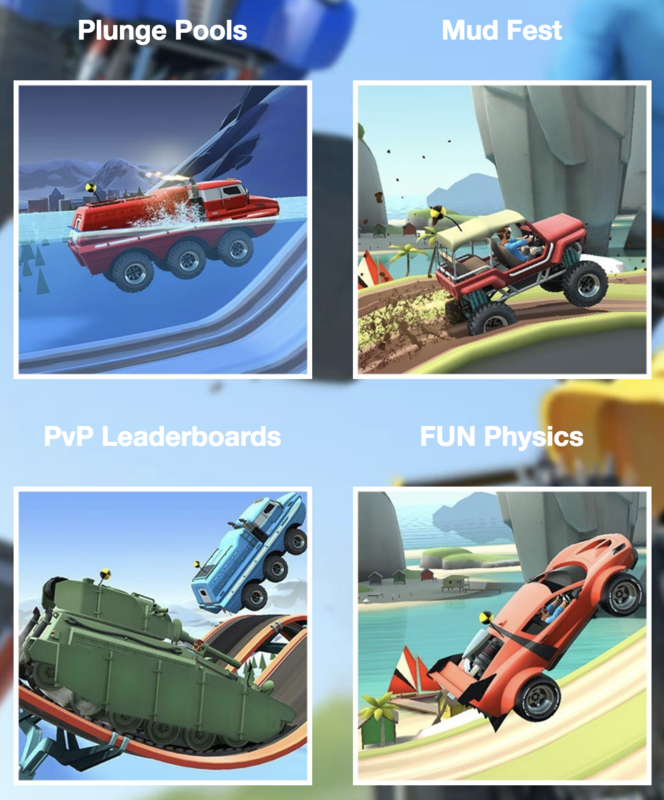 You don’t need to understand all the physics we’ve squeezed into the game; Just enjoy the thrill of mastering the challenges ahead! The game is live now for iOS and Android! Get it from the App Store or from Google Play. Make sure to jump into the Hill Dash 2 forum discussion here.